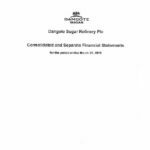 Dangote Sugar Refineries Plc cultivates and mills sugarcane in Nigeria and produces fortified and non-fortified granulated sugar for household consumption and use in pharmaceutical and food and beverage manufacturing. The fortified product is a fine high quality Vitamin A fortified white granulated sugar which is an all-purpose sugar used for baking and sweetening beverages and food stuff. It is sold under the brand name Dangote Sugar in 50kg, 1kg, 500g and 250g packages. The unfortified product is a specially-processed sugar grade used by pharmaceuticals and food and beverage manufacturing companies. 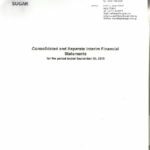 Dangote Sugar Refineries’ subsidiary company, Savannah Sugar Company Limited, cultivates sugarcane for the group and is responsible for the milling process. 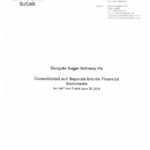 Dangote Sugar Refineries Plc cultivates and mills sugarcane in Nigeria and produces fortified and non-fortified granulated sugar for household consumption and use in pharmaceutical and food and beverage manufacturing. The… READ MORE.